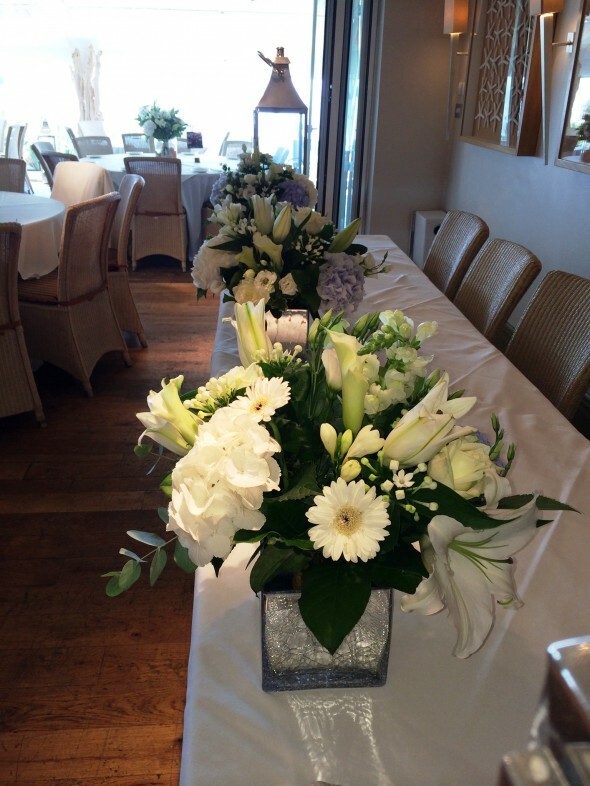 Congratulations to our beautiful bride, Linda, who choose classic creams to complement her beach wedding at The Roslin hotel. 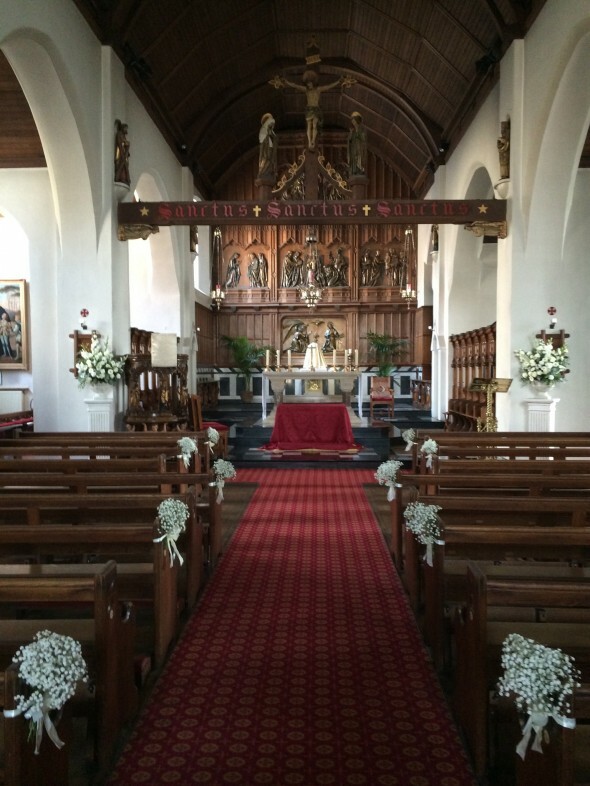 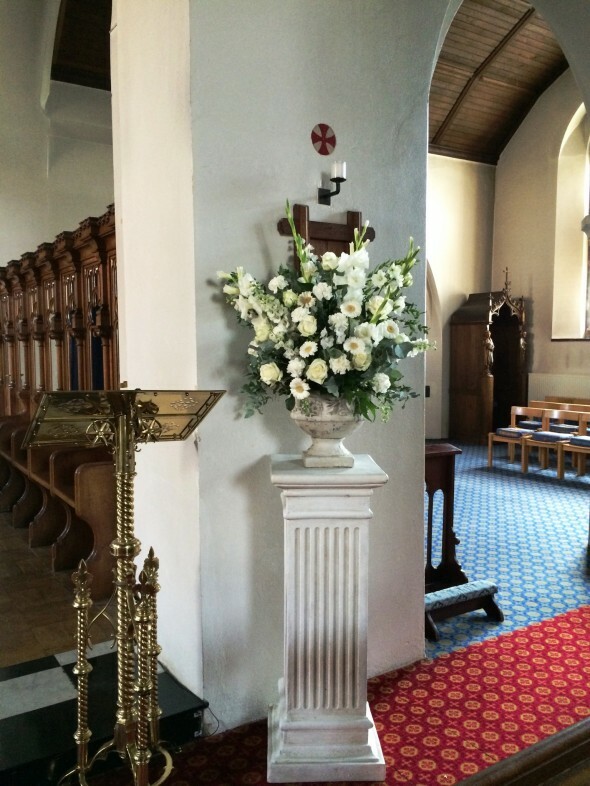 We decorated Our Lady of Lourdes & St Joseph’s Catholic Church with pretty gypsophila pew ends and elegant pedestal arrangements. 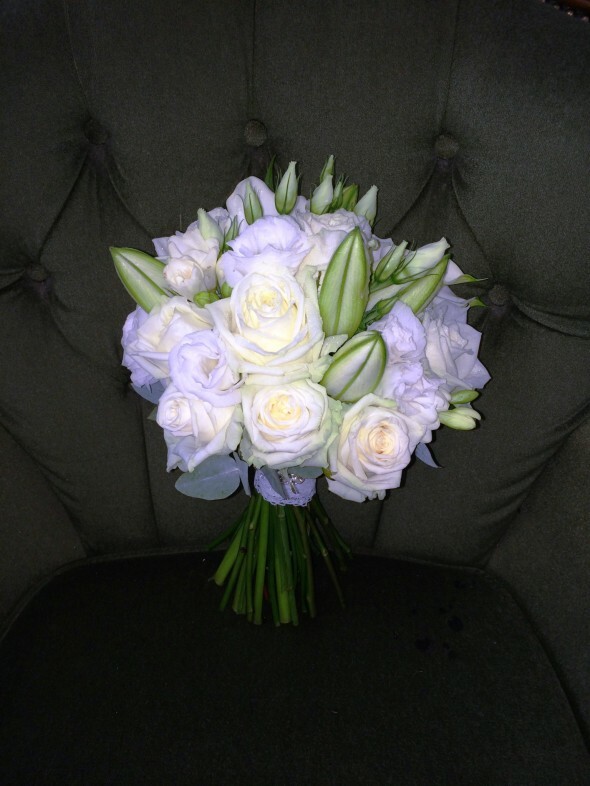 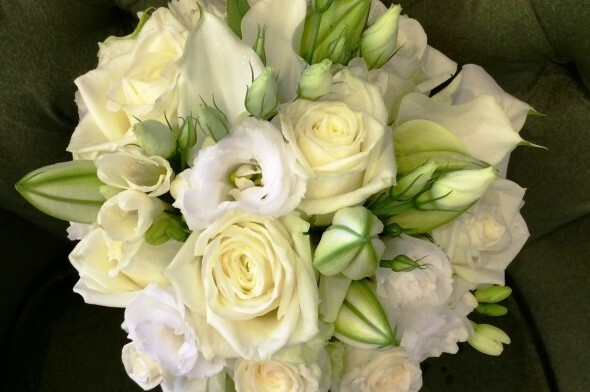 A mixture of cream roses, white calla lilies, hydrangea, gladioli, gerberas, eustoma, bouvardia and freesia were used to create the elegant crisp look. 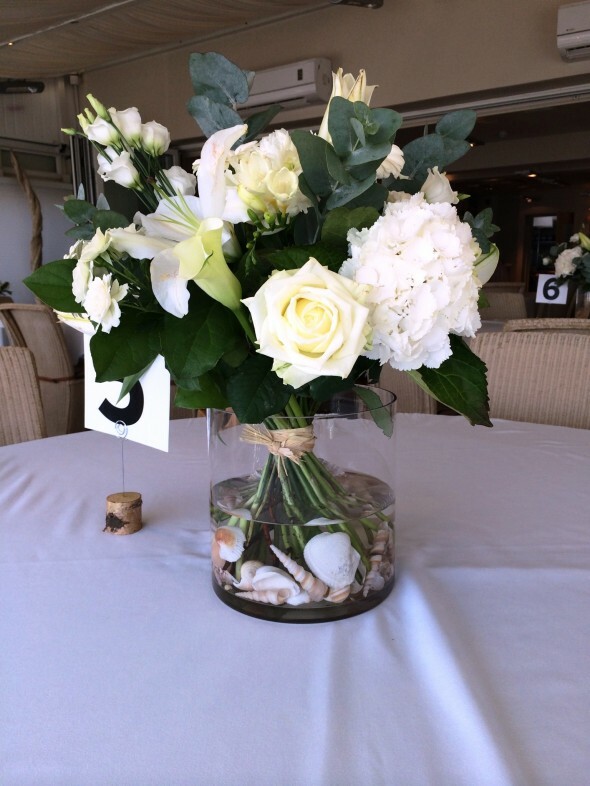 The table centre pieces were placed in glass vases with a selection of beautiful shells.